SAS was invited to compete in the design of a new community center and middle school in the Kingsbridge neighborhood of the Bronx. Our proposal was one of two finalists selected. In response to a complex programmatic brief that included middle school facilities, community spaces, fitness areas, and a baseball field deployed over a compact urban site, we proposed a facility that would be easy to understand, easy to use, and become a center for the Kingsbridge neighborhood. The required programs accounted for almost all of the site’s square footage, leaving no room for the existing baseball field. 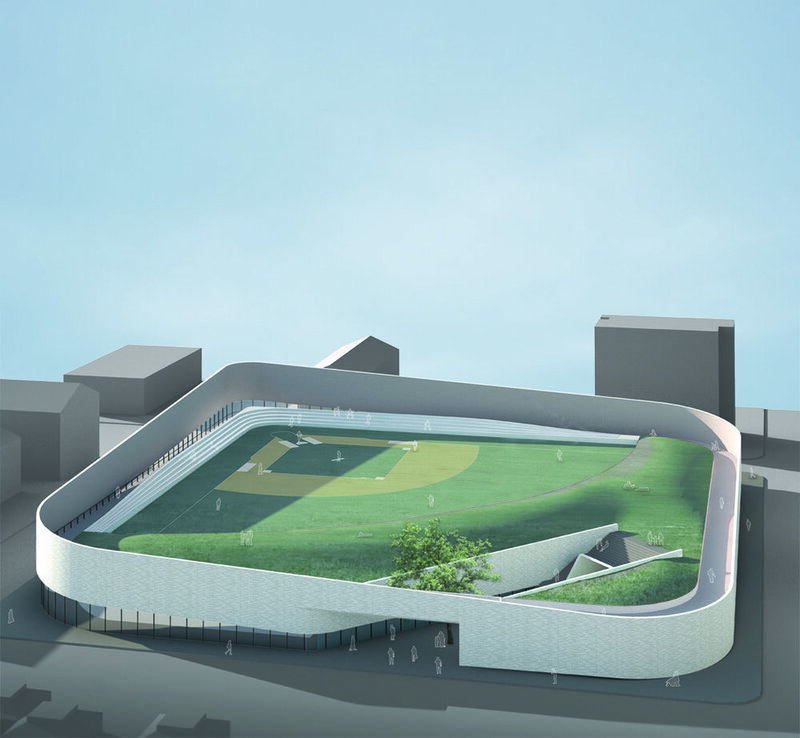 Not wanting to condense the building into a multistory structure to make room for the field, we proposed a two-story building spread out over the entire site with the baseball field on top. 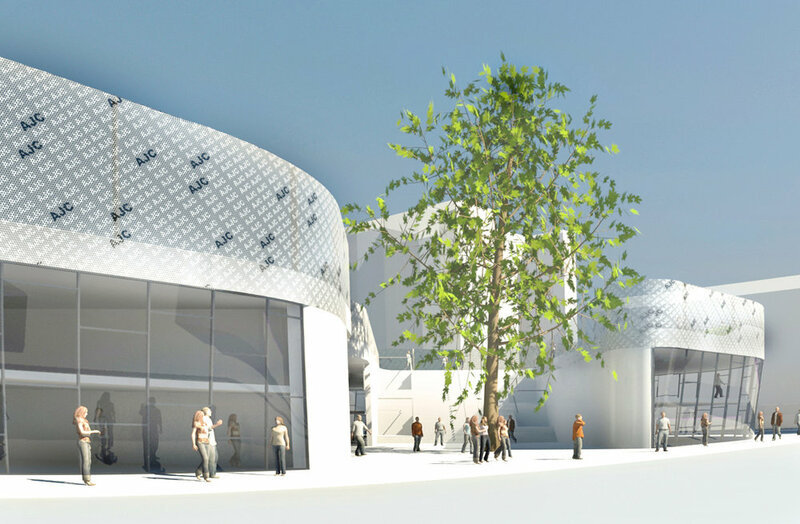 The broad surface area of the roof would allow for rain water and solar energy collection for basic building operations, and the synthetic turf of the baseball field would serve as insulation for the spaces below.